below) and hope to set up a Tag Sale if weather permits. 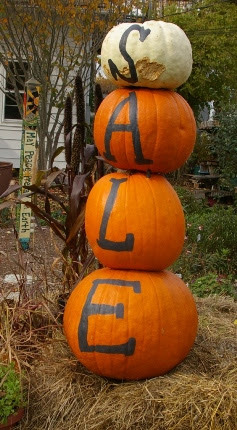 The staff is also putting some of your favorite organic pest controls and select organic fertilizers on sale. We want to clear the shelves to make way for lots of new merchandise that is clogging up our shipping area! Saturday is also the last Saturday Morning Garden Walk of the year. Starting in the teaching tent at 9:30 am, I will explain the very gradual, but important process of cutting back perennials (and identify what to leave up), hilling up roses, applying WiltPruf on your evergreens, and so much more. Following the walk, we will have a demonstration on how to dig and store dahlias and other tender bulbs. Our crop of Global Warming mums is finally ready. We have been growing them for the past 3 months. Much to our surprise, they were mislabeled from the breeder. We have LOTS of a very gorgeous variety called ‘Rustic Glow’. According to Kassie, who lovingly tended this crop: “They start off with purple-pink buds, then as they open they morph into this really beautiful rust color and then finish in a creamy orange with a pink blush.” Global Warming mums are bred in northern Vermont and are extremely hardy perennials here in Ct. One plant will give you a very large clump in a single year. 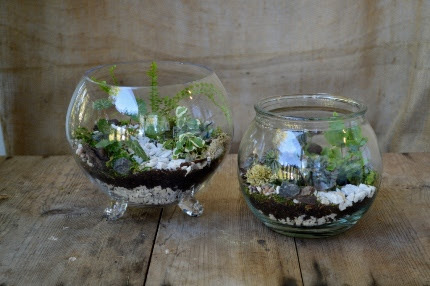 I have two varieties at home and I am filling vases and giving away bouquets like crazy. After a few years, you can make divisions in the spring and spread them around your property or trade with friends for different colors. This is an old fashioned spring tradition that we should revive among our gardening friends. ‘Rustic Glow’ Global Warming mums are ready! We are excited to have just received yet another shipment of spring blooming bulbs, including many varieties that either sold out immediately or haven’t been stocked yet this year. Below you will see a photo of the 5th year of The Great Purple Tulip Experiment. 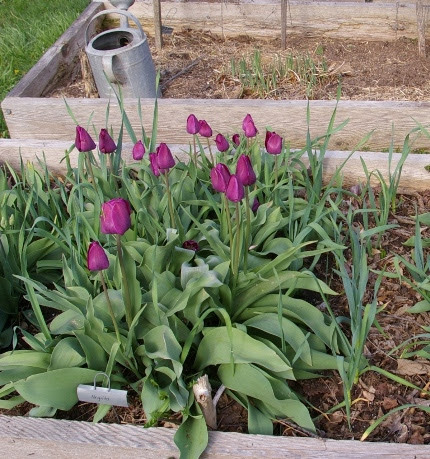 I began planting blocks of different varieties of purple tulips in a raised bed, alternating them with bands of garlic. I labeled all the tulips in order to understand how they compared to each other. The hands-down winner for longevity and length of bloom is ‘Negrita’ which is still going strong. Most of the others faded away within 3 years. That is why I specify ‘Negrita’ purple tulips for my landscape jobs. I do feed my tulips when the leaves first emerge and again after I deadhead them. Allium moly has been returning for many years in our demonstration gardens. 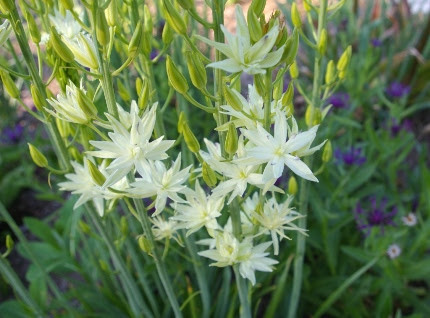 Camassia leichtlinii ‘Semiplena’ photographed in my garden this spring. April and early May, marrying perfectly with daffodils, hyacinths, early tulips, and grape hyacinths. Speaking of bulbs, we are down to less than 6 dozen heads of organic, hard neck seed garlic. Have you planted your garlic crop for next year yet? Mine won’t go in until right after the full moon in November but you can be sure I have all my seed garlic stashed in my back garage and ready to go. You can’t find an easier edible crop! Each clove of garlic produces one head. They have a backwards cycle- cloves go in now, garlic is harvested next July. 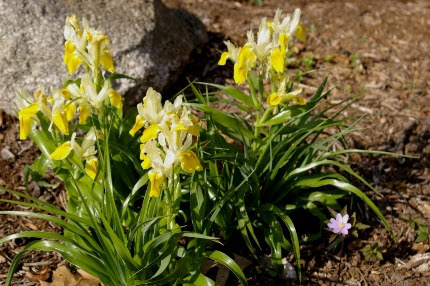 Another edible bulb that most people don’t know they can grow in CT is saffron. It is actually a fall blooming crocus. We have had it coming up in our front garden for over 10 years! 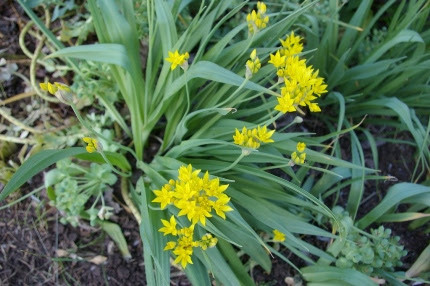 The thin foliage appears first, usually in early November, followed by soft lilac crocus flowers with brilliant orange stigmas. That is what you pluck and dry for the spice saffron. Now you can understand why it is so expensive to buy in those tiny vials in the grocery store. The bulbs are NOT expensive (10 for $6.99) and they are perennials. They don’t even need full sun. Ours is happily growing by the front porch, along an east facing wall, with a maple tree across the walkway. 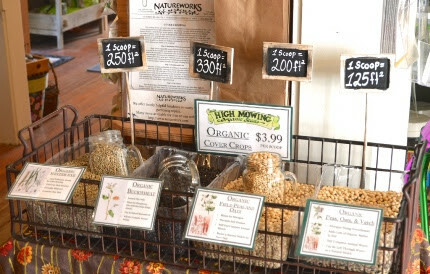 Read all about the various organic cover crops that we sell in the most recent Natureworks blog post. Then plant cover crop seeds as you harvest your garden beds. Your soil will thank you and so will the beneficial insects and pollinators. I am pleased to announce that Jillian Shea has joined the team of garden writers who are now participating in the Natureworks blog. 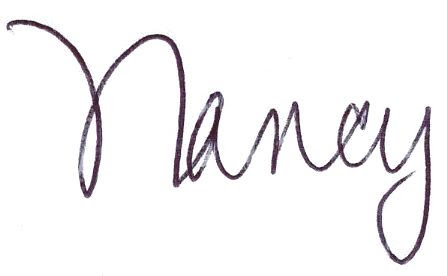 Click here to link to our blog and read her latest two articles. One is on cover crops and the other is on five plants that you should grow for fall. You can now follow us on Facebook, Instagram, Twitter, and our Blog. 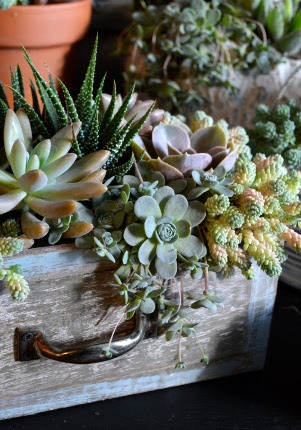 Remember, it is not just me doing all of this writing and photography- Diane, Kassie, Jillian, and other members of my staff participate in teaching our customers about the various aspects of gardening. section below and register right away to reserve your space. 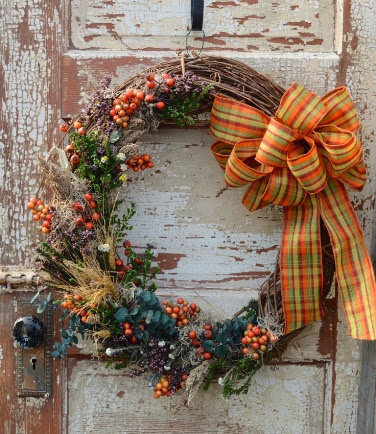 The Monday before Thanksgiving I will be running a mixed evergreen wreath making workshop in Old Wethersfield as part of the CT Horticultural Society’s Educational Program Series. Details on this fun event can also be found below in the events section. 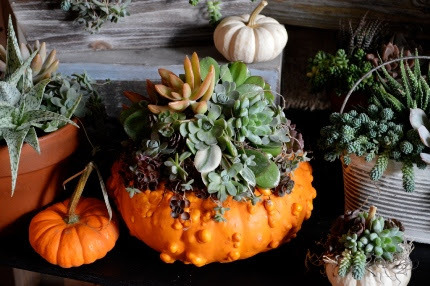 We are now taking orders for fall wreaths, succulent pumpkin centerpieces, and other fall creations that you would like us to put together for you. As we head into November, we are gearing up for a fun and exciting holiday season. After our events next weekend, the greenhouse will transform into our holiday Design Studio, just like it did last year. The outdoor plants will be put away for the winter and the nursery yard will start to prepare for the arrival of all sorts of fresh greenery, much of which we will harvest locally. We will carry on the tradition of celebrating Green Friday on the day after Thanksgiving as well as Small Business Saturday on November 26th. American Express has a great offer- you can earn double your rewards on qualifying American Express cards by purchasing from qualifying Shop Small Merchants from October 15th thru December 31st! Check out the details below and register your card now. Windy, rainy days have started to bring the beautiful leaves down from our trees. 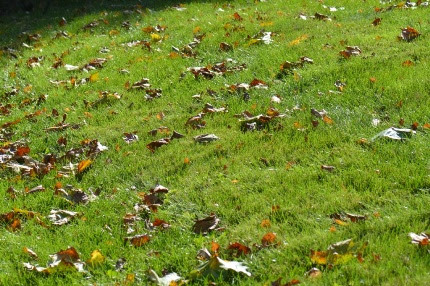 If you only have a smattering of leaves on your lawn, don’t remove them. Instead, shred them into bits with your mower and let them lie on the lawn. The leaves will feed the grass roots. If you have tons of leaves, then rake them into a tarp and SAVE them in a pile. I use all the leaves I can get my hands on for mulching my raised beds, smothering new beds, and mulching around shallow rooted shrubs like rhododendrons for extra protection in the winter. Leaves are valuable. Leaves are good. Leave the leaves. They are nature’s gold for your soil. 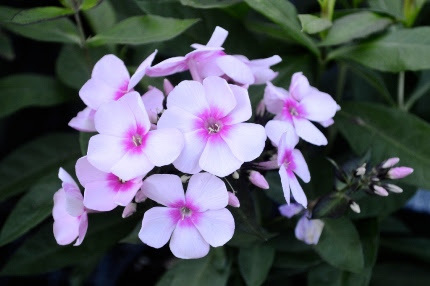 We have Phlox paniculata ‘Bright Eyes’ on our benches. This is one of the best, old fashioned, mildew-resistant varieties that has stood the test of time. 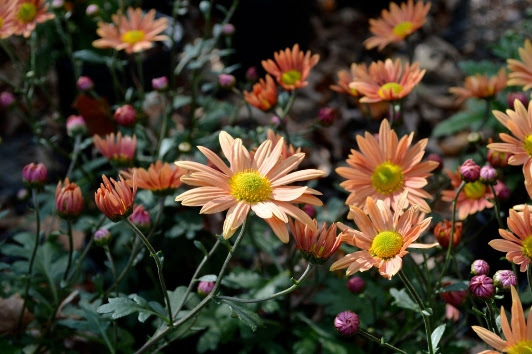 Plant more perennials this fall. You will be so proud of yourself next year! As you can see from the picture at the top of this email, we are certainly not done with color yet at Natureworks. Come see our late blooming asters, perennial mums, late sunflowers, and so much more. Squirrel away your bulbs so that you can be sure to grow the varieties you love and can plant them at your leisure, as you begin the process of getting your garden ready for the winter. Join me on Saturday to learn all the details of this process. I look forward to seeing you at the last Saturday Morning Garden Walk of 2016. P.S. To answer a question we get much too often…NO, we don’t close down in the fall. If you are new to Natureworks, you may not realize that we are open right up through December 23rd and have a fabulous Christmas shop, complete with gorgeous greenery and all kinds of lovely holiday ornaments and gifts. Shop Small and visit Natureworks often in November and December.